Are Charter Schools Created Equal? As the founder of Step to Success and two charter schools in Colorado, I am a big supporter of choice in education. However, not all charter schools are created equal. If you are considering a charter school make sure you do your homework. First and foremost, visit your state’s department of education website to get a list of charter schools in your area and facts about the school itself. I recommend you talk to as many people as you can to learn about the school’s reputation in your community. Yes, charter schools have reputations too. Parent satisfaction, academic success, and teacher turn-over all play an important part in a school’s reputation. Make an appointment to visit the school and take a tour. Find out how their enrollment works. Unfortunately, I have heard from parents that some charter schools screen students to make sure they can “handle the workload”. Charter schools can use a lottery system or first-come, first-serve enrollment policy but they cannot personally select their students based on academic achievement, special learning needs, or for any other reason. I also recommend you make a list of pros and cons based on whether or not the school meets your individual student and family needs. If you’re a parent who prefers a more traditional school environment, then you probably won’t want to enroll your child in a charter school that is centered around the arts and drama. 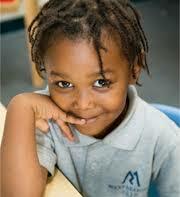 Charter Schools can provide a wonderful educational experience for you and your child. I know this to be true for my own three sons but take the time to do your research. If you do, your child will have many happy memories and a solid education to boot! © 2015 by Step to Success Community Learning Center / Proudly powered by WordPress	/ Theme: thebox by design news.